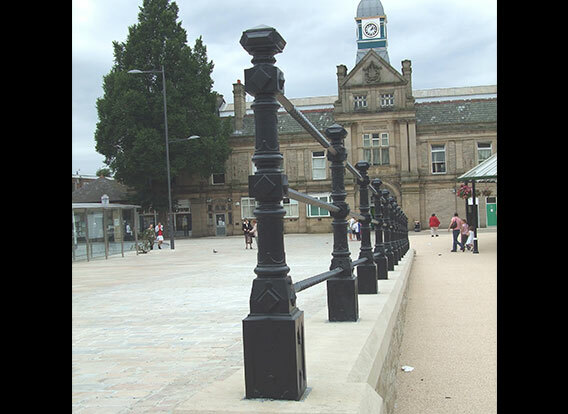 A substantial yet decorative bollard that can also be adapted as a post to provide the basis for a railing system. 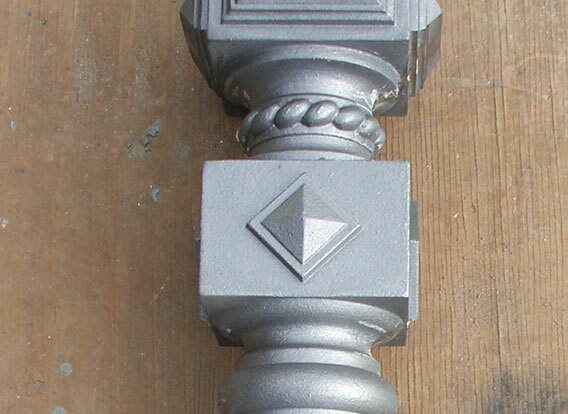 The crisp castings show off the detail of the castings to maximum effect. 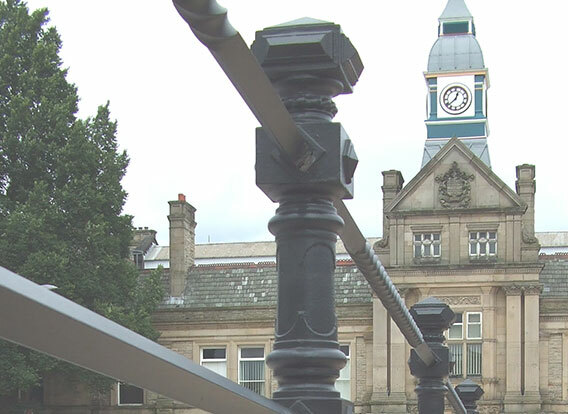 Originally produced as a commission for installation in the Town Square in Darwen, Lancashire, this has proved to be a popular design and has since been installed in a number of other locations.